Should I ask my family to make an investment in my business? 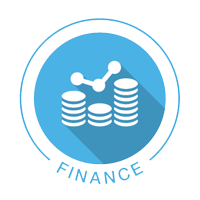 Financing a small business can be very difficult and very stressful. When you have a great idea and want to get started, you need to determine how much startup capital you will need, and you will likely need more than you anticipate. It you have family members with financial means, it can be tempting to ask them for help. But is that the right thing to do? It depends upon the family members and how you set expectations going in. To begin, if you do choose to borrow from a family member, you should treat it like any other bank loan. It should bear a rate of interest and have a payment schedule. You should determine if you need to make monthly payments or simply pay it all off with interest at the end of the loan term. By treating the loan this way, it can help to avoid hard feelings between family members (those involved and those not involved who may also have a vested interest in seeing the loan paid back). When asking for the loan, you should be able to outline the business plan for your family members including your sales strategy and finances so they can see how you will service the loan over time. They should understand what the money will be used for so that it is clear that there is an “end game”. Ultimately, this should be a business transaction like any other. There is risk involved on the part of the lender so there interest rate should be appropriate for the risk level If a standard bank loan would bear a 5% interest rate, a family loan might bear a 10% rate because it is unlikely that the family member will take your house as collateral like a bank would so their money is not as guaranteed to be returned. Ultimately the decision to borrow from family is personal and can be the best way to keep your business going during a difficult time. Just always remember that long after the business is gone, the family will remain so be careful not to ruin those precious relationships along the way. This entry was posted in *All Posts*, Accounting, Financials, Getting Started, Management. Bookmark the permalink. ← What should I do about telephones for my business? Clear expectations is the name of the game here. More importantly, communication is mission critical. There is risk on both sides of the equation here and keeping family members in the loop creates trust and lowers the anxiety during the transaction. I would only add, when possible, pay them off early! It is always tricky to mix business with family. This is some great advice on how to navigate the situation effectively. Communication is key! It’s really important to confirm that both sides understand the expectations in full. I think it’s especially important to consider the worst possible scenario when borrowing money from anyone.